Jag drömmer om en mysig sommarkväll, med med det ruskiga vädret vi haft (och halsontet jag vaknade upp med) känns det avlägset. Jag deltar i: Love to Create (Color inspired), Catch the Bug (June Bingo: Starts w/ B: Butterflies - Starts w/ R: Ribbon - Yellow), KOrt o Mania (sommerfulger eller blomster), Simon Wednesday (AG), Totally Gorjuss (Flower Power) och Crafty Catz (AG). 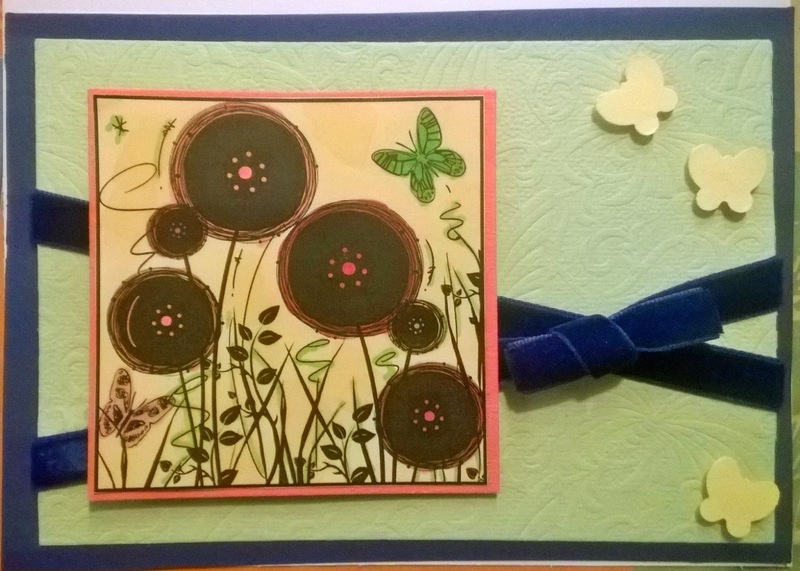 Cute card - thanks for joining us this week at Love To Create for the colour inspired challenge. Great card I love the image and the colors. Thanks for joining us at Catch the bug for our Bingo challenge. Lovely card! Thank you for joining our "Color Inspired" Challenge at Love to Create this week.